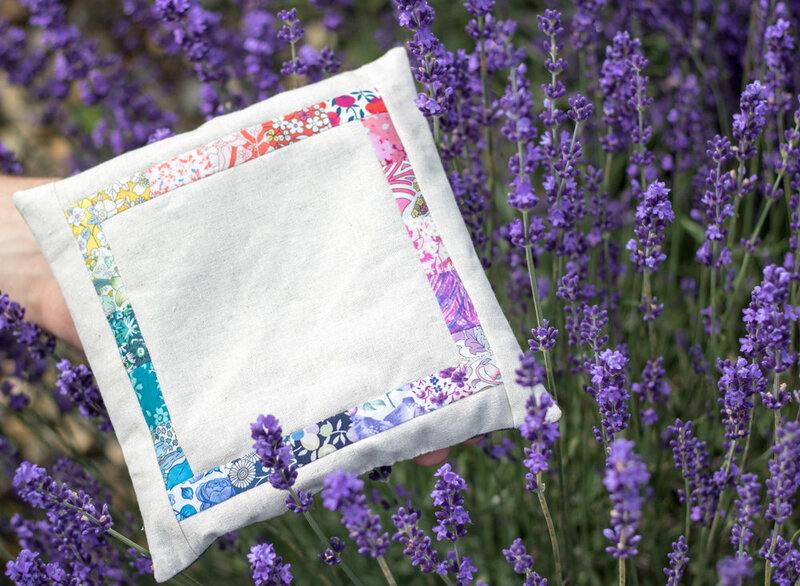 So excited about having a pattern that I designed for this cute lavender sachet included in the 2018 year's Quilters planner! I not only credit living in the East Village of New York City for my creative awakening but also for inspiring me to start my own small business. I love supporting all the little mom and pop shops around the neighborhood and one of my favorites is Sunny's Flowers. It's truly a family operation, run by Sunny, her husband and their son. You can tell that it's a labor of love for all of them as even if you come by right before closing, you will always be greeted with a smile and excitement in helping you arrange a bouquet to your liking. I feel so blessed to be able to do what I love and forever greatful for the support of those who are helping me live my dreams so I always try to shop local and small and help spread that love among other small business. I couldn't have gotten more excited when I saw Sunny adding a display of dried lavender to her shop one day. I picked some up and excitedly headed home with the perfect project in mind for it.